Throughout history, cultures worldwide have provided a means for people to access non-ordinary realms for healing and spiritual growth. Breathwork is a means of inducing an altered state of consciousness through full and connected breathing. An energy charge is created in the body, and as the energy disperses, it serves to release, or to cleanse blockages, both physical and emotional. Possible experiences include; resolution and release of current problems, unresolved childhood wounds, birth memories, past life remembrances and stored trauma in the body. Many also experience encounters with the divine, transcendence of time or space, direct experiences of the primordial vibration, deep peace, unconditional love and orgasmic states. The process is gentle, safe, and loving and almost every person will have a deep moving experience. As an added benefit, Breathwork is quite healthy for the body. You will be conscious the whole time and totally in control. Please come prepared for immediate growth and a powerful experience. ***NOTE: Please wear loose, comfortable clothing and bring a yoga mat or sleeping bag, blanket and pillow. It's preferable not to eat for an hour prior. We will provide eye masks or you can bring your own. Space is limited. To guarantee your space, please preregister. "Personally, I was able to release a very dense, and deep, old emotional trauma that has shaped my being for over 30 years. The hidden emotions of guilt, anger and sadness that had been trapped inside of me were given permission by Breath to be release. The experience was profound! I am FREE." "I've never done anything like this before. But I trusted you. I trusted the space. I trusted God. And it was definitely and encounter with the Divine. And an experience of the life-force of prana like I've never known." "It's a profound experience, EVERY. SINGLE. TIME! I think I've done about 12 breath work sessions with Zach now, and they blow me away, every single time! Even when apparently "nothing" happens, profound things shift. And when something happens it usually goes deep and wide, it takes you to places you didn't know you had access to, it heals in amazing ways, it opens doors, it purges ... it is truly amazing! It is no exaggeration when Zach says that you do "40 years of therapy in an hour" .... sometimes it will do just that, and then some!" "Zach, the breath work you are facilitating is absolutely fantastic!! I wasn't sure what to expect and then 10 minutes into the session I connected with some deep down emotions that I didn't even know was there. It was such a relief to connect with myself so deeply, beyond mind, and move that old stuck energy out. The following week I experienced a noticeable difference in how my body and emotions were feeling; I had more freedom! Thank you Zach!! You're a powerful and amazing healer and everyone needs what you are offering!" "The experience in Conscious Breathing is life altering. For a shift towards living a fulfilled life, this experience is huge. i encourage all who are drawn or who are curious, to step forth and say YES." 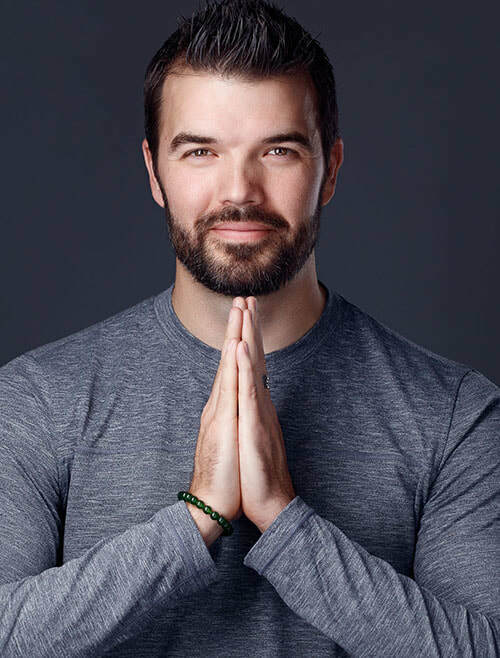 Zach Rehder is an international teacher, speaker and healer. Through a series of awakenings, he has become a channel for messages and energies that heal, unlock and awaken. This enables individuals to dissolve barriers and free themselves from negativity, lack and limitation. Many clients have experienced amazing, unexplainable healings and awakenings through Zach’s sessions and classes. One of the reasons Zach is on this planet is to support others in their awakening process. He assists people in removing physical, mental, emotional and spiritual obstacles and clearly see, hear and follow their own Divine guidance with grace and ease. This empowers people to fully embody who they came here to be. Zach travels internationally facilitating classes and healings. He also does remote and in person private sessions with people from all over the globe. His clients include some of the who’s who in the personal development industry from best selling authors to stars of the movie The Secret.